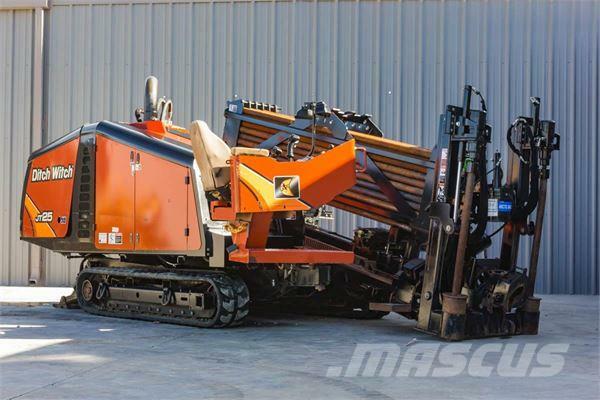 Dodatkowe informacje Description: This 2013 Ditch Witch JT25 horizontal directional drill with 3,479 hours is in good condition. This HDD drill has rubber tracks and a 50-piece pipe basket. The rig also comes with 50 pieces of 2-3/8 FS1 x 10 drill pipe (500 total feet). The power plant and fluid system has been fully serviced and inspected. This JT25 has undergone a complete inspection of mechanical and hydraulic systems and has been drilled with at our facility and meets our Ready-To-Work standards. Demo this JT25 today!